Asteroids might not look like much on the outside, but you shouldn’t judge a book by its cover…. 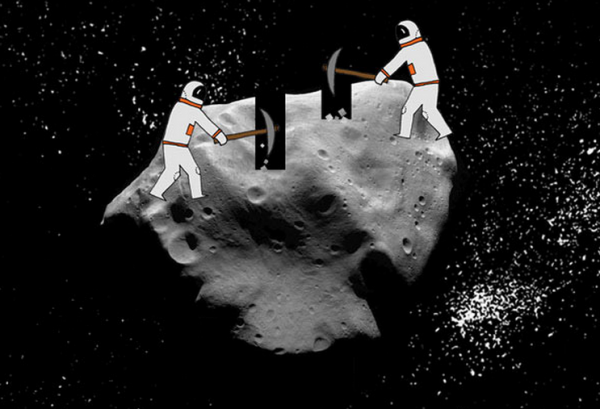 An asteroid, UW158, which recently zoomed past Earth, is made of a staggering $5 trillion dollars in platinum and presents significant potential for asteroid mining. Earlier this year, an asteroid zoomed past Earth at a distance of about 1.5 million miles (2.4 million kilometres). Given the distance, scientists note that there was no chance of the Earth colliding with the space rock, although it made it close enough for NASA scientists to capture it on video.